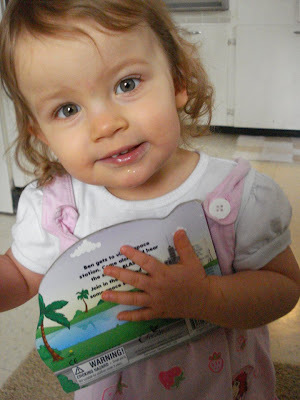 PeeWee mugging for the camera with one of her favorite little books. She breaks my heart sometimes. I love that you call her PeeWee. She's just adorable! Oh the cuteness, its to much!! !